Cinco Ranch Roofers provides Cinco Ranch property and business owners with roofing expertise and exceptional customer service. We deliver friendly, courteous service along with the best craftsmanship, and we want to do an exceptional job for you. Our commitment shows on every roof project that we handle in Cinco Ranch, Fort Bend County, Harris County, and the greater Houston area. While we offer dozens of roofing services, Cinco Ranch Roofers is proud to offer urgent roof repair services in Cinco Ranch. We understand the importance of a fast response, emergency cover ups, and temporary roof repairs. Whether water is pouring through a hole punched in your roof by a tree branch or leaks have sprung throughout your house, if you have an urgent need for roofing services, contact us right away. Depending on the weather conditions at the time, we will be out to your home or business on a high priority basis as soon as it is safe for our roofing crews to venture outdoors. •	Roof inspections – Buying or selling a home? Getting the run around from your insurance company? Hire us for a roof inspection and get the documentation that you need to prove your case. •	General roof repairs – We repair roof problems of all types. •	Roof leak repairs – Leaking roofs require an urgent response in order to prevent or minimize water damage. Contact us ASAP for priority service. •	Shingle repair and replacement – High winds have been known to blow off shingles in Texas. 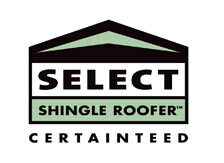 In addition, shingles can be damaged by tree limbs, hail stones, and workers walking on the roof. Contact us promptly before the next storm rolls in. •	Roof installation (new construction and remodels) – Need a new roof? Adding a room or second story addition? Building a new home or subdivision? Count on Cinco Ranch Roofers. •	Roof cover service / emergency roofing services – Need a temporary roof repair to minimize damage before permanent repairs can be made? We offer roof cover up and emergency services. •	Re-roofing due to storms – Has a storm severely damaged your roof? Your insurance company may foot the bulk of the bill! Contact us ASAP for a free estimate and immediate service. •	Re-roofing after house fires and structural damage – Partial house fires often require major repairs, including re-roofing. Contact us today for further information. •	Roof demolitions and roof haul away – Is it time to demolish your home or building’s roof? This is a dangerous job suitable for only the most experienced roofing crews. Let Cinco Ranch Roofers handle the job.